Domestic waste. The only time Henk & Ingrid actively consider this to be an issue is when it’s that time of the week again, and he or she has to lug the waste out of the house. Usually in the poring rain. And granted, who would consider the remainder of our daily life as an interesting topic? Perhaps it is not a coincidence as most of the expressions concerning waste have a negative connotation! But there is more to domestic waste than we generally care to consider. And I’m not just talking about the resources hidden in the enormous quantities of domestic waste we collectively chuck out each year. In The Netherlands, there is something odd going on with domestic waste. The amount of domestic waste produced annually has increased steeply for decades until the year 2000. From 2000-2007 the growth decreased as from 2007 the total amount of domestic waste decreases. 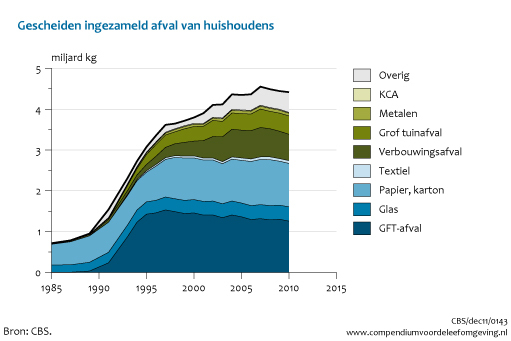 As of 1990, the Dutch become more and more positive towards the idea of separating domestic waste, which is clearly shown in the amounts of waste collected in separate streams and what domestic waste in the Netherlands consists of. The connection between the contents and the degree of separating waste is obviously not a coincidence. 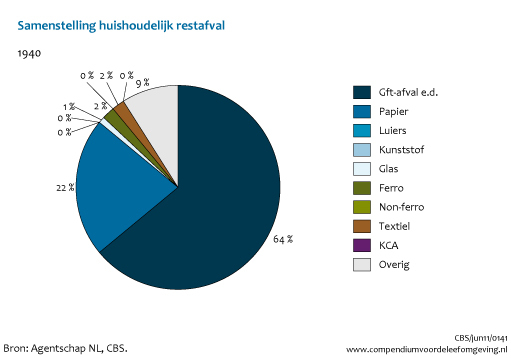 Every household in The Netherlands pays an annual fee to the municipality for the disposal of its domestic waste. This fee is not just for paying the individual who comes to take the trash away, but obviously for managing the system as well but not for other expenses. Thus, when the total amount of domestic waste decreased, the obvious assumption is that this fee would decrease as well. Well, no, not necessarily. Based on the principle that waste has no use or function, our municipalities have been given (or have taken, depending on the point of view) the authority to get rid of our waste to keep our town and cities inhabitable. And obviously the ones –the households- causing the pollution are the ones who have to pay to get rid of it. And traditionally, the waste was taken to a landfill, or incinerated. Luckily for us the landfills are largely obsolete and the majority of waste is incinerated, the released energy is used to generate ‘sustainable’ energy (both electricity and heath). But still. The annual fee every household pays has not decreased but steadily increased over the past years. In all honesty, this is not the case for every municipality. There is a significant difference between three systems in place. The most common system is a fixed fee per household (one person, or more) per annum (green line). 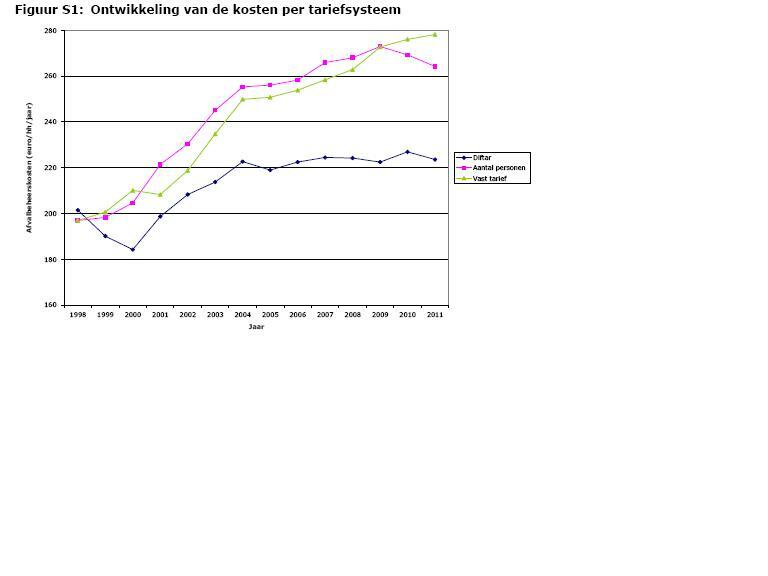 Alternatively there is a different system which calculates the fee per person in every household (purple line). And finally there is the DIFTAR system (blue line). Municipalities who have chosen for this differentiated system have not had to decrease the annual fee over the past decade. Roughly 30% of the Dutch municipalities are DIFTAR-municipalities. But what does this mean for Henk & Ingrid? Generally speaking this means that separating waste does not bring them anything, apart from the knowledge that they are actively reducing the amount of resources incinerated and making them Plastic Heroes. They will pay the same fee, regardless whether they turn out one bag of refuge or 10. Suffice to say that this does not offer an incentive to separate or reduce waste. Perhaps this stems from an era in which we could not have known better (or could we? ), in a time in which recycling was a myth and municipalities signed European tender agreements which lasted for decades with large multinational refuge handlers? It is a fact that most of the major cities in the Netherlands have entered such agreements and that the municipal waste goes straight into the incinerators, after a stage in which the separate materials are separated and – in all likelihood – sold. There are different approaches, though. Ryck is an initiative in which individuals are financially rewarded for every kg of separated waste they hand in. Twence is a cooperative of a number of municipalities, which have taken matters into their own hands and in doing so, have created a system which turns out green energy, large quantities of raw material and a substantially lower annual fee for the inhabitants. HVC Groep, has taken it upon itself after being confronted with decreasing quantities of waste to incinerate to turn towards sustainable energy and to create awareness and subsequently decrease the amount of waste produced by its shareholders, a number of municipalities. This is a paradigm shift from the more obvious paradigm to import waste from abroad to keep the incinerators burning. And finally, one municipality has, in spite of a very lucrative contract (for the refuge handler, that is) taken the initiative to organize a subsystem for raw materials and thrift stores, to ensure that the absolute minimum of materials go to waste. As a “prize” for this initiative they may face a penalty because the quantity of waste collected goes beneath a threshold set in the 90’s (!). This example shows once again that economic principles can only be applied to green our economy with the right government policies in place. 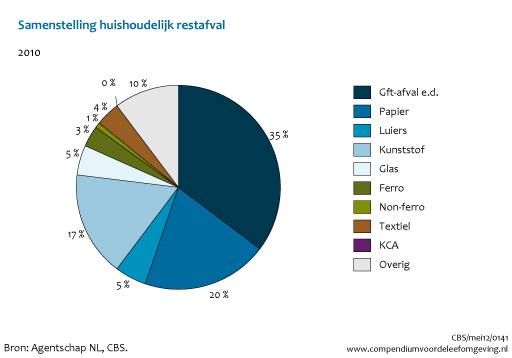 Otherwise the Dutch will all become Plastic Heroes instead of getting a lower annual fee for removing a decreasing amount of waste in an increasingly circular economy. This post was written for and published by TEDxBinnenhof in close collaboration with Ivo Stroeken, Advisor Electric Transportation.